Warner Bros. Pictures‘ Crazy Rich Asians is looking to become one of the breakout hits of the summer, holding onto the top spot at the domestic box office with an impressive $25 million haul for the weekend, a drop-off of just 5.7% from its first weekend of release (the lowest drop-off for a wide release this year). Domestically the film now sits at $76.8 million. Internationally the film continues to roll out in various countries, but brought in $6 million from 18 markets, bringing the overseas total to $7.1 million, worldwide the film now stands at $83.9 million. Based on the acclaimed worldwide bestseller by Kevin Kwan, Crazy Rich Asians features an international cast of stars led by Constance Wu, Gemma Chan, Lisa Lu, and Awkwafina, with Ken Jeong and Michelle Yeoh. 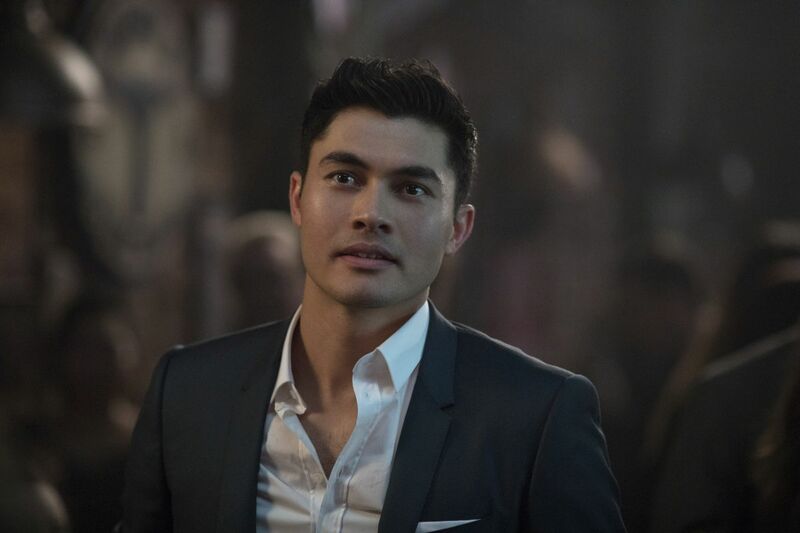 The large starring ensemble also includes Henry Golding, making his feature film debut, Sonoya Mizuno , Chris Pang, Jimmy O. Yang, comedian Ronny Chieng, Remi Hii, and Nico Santos Jon M. Chu directed the contemporary romantic comedy. The Meg continues to swim upstream, hanging onto the #2 spot domestically with an additional $13 million. Domestically the film has crossed the $100 million mark with a total of $105.3 million, but internationally it continues to perform even better. The film added another $32.7 million this weekend in 65 territories, internationally it now sits at $303.3 million for a global total of $408.6 million. Directed by John Turteltaub, the film stars Jason Statham, Li Bingbing, Cliff Curtis, Rainn Wilson, Ruby Rose, Winston Chao, Page Kennedy, Jessica McNamee, Ólafur Darri Ólafsson, Robert Taylor, Sophia Shuya Cai, and Masi Oka. Mission: Impossible – Fallout held its grip on the #4 slot with another $8 million, bringing its domestic total to $193.9 million. Internationally the film added another $13 million for a total of $344.8 million, globally the movie now sits at $538.7 million. The sequel is slightly behind 2011’s Ghost Protocol and 2015’s Rogue Nation which finished their theatrical runs with $694.7 million worldwide and $682.7 million worldwide, respectively, but is performing better in many markets than Rogue Nation previously did. Tom Cruise leads the Christopher McQuarrie film which co-stars Henry Cavill, Simon Pegg, Rebecca Ferguson, Ving Rhames, Angela Bassett, Michelle Monaghan and Alec Baldwin. Disney’s Christopher Robin moved up from sixth place to fifth with another $6.3 million and another $5.9 million internationally. The film now sits at $77.6 million in the US with a global total of $112.7 million. Directed by Marc Forster, Ewan McGregor stars as the title character alongside Hayley Atwell, Bronte Carmichael, and Mark Gatiss. Voicing the characters from the hundred acre wood include Jim Cummings as Winnie the Pooh and Tigger, Brad Garrett as Eeyore, Toby Jones as Owl, Nick Mohammed as Piglet, Peter Capaldi as Rabbit, and Sophie Okonedo as Kanga. Mark Wahlberg’s latest action thriller Mile 22 fell from third to sixth place, adding another $6 million to its total. The film has now brought in $25.17 million domestically and just barely passed Wahlberg’s previous film All the Money in the World, it’s also within spitting distance of the last Wahlberg/Berg feature, Patriot’s Day (which brought in $31.8 million). The film is directed by Peter Berg and also stars Academy Award nominee John Malkovich, as well as Lauren Cohan, Iko Uwais and Ronda Rousey. Sony Pictures and Studio 8’s Alpha slipped from fifth to seventh place with an estimated $5.6 million for the weekend. The ice age adventure now stands at $20.1 million domestically, but against a reported $51 million budget it will likely get lost in the tundra in the end. Kodi Smit-McPhee stars in the film alongside Natassia Malthe, Leonor Varela, Jóhannes Haukur Jóhannesson, Mercedes de la Zerda, and Jens Hultén. Directed by Albert Hughes the film is written by Daniele Sebastian Wiedenhaupt. Spike Lee’s latest joint BlacKkKlansman fell from seventh place to eighth but only dropped -27.6% from weekend to weekend, adding another $5.34 million in its third weekend and giving it a domestic total of $32 million. Internationally the movie has brought in $8 million for a global total of $40 million, against a reported budget of $15 million. Based on a true story, the film stars John David Washington, Adam Driver, Laura Harrier and Topher Grace. The post Crazy Rich Asians Holds Onto the Top Spot with Impressive Second Weekend appeared first on ComingSoon.net.